Shipped Direct From USA Manufacturer. 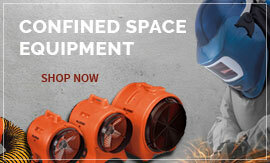 Portable - Heated - Sink Mounted - Pedestal - Combo - Pressurized - Mixing Valves - Parts. First Aid and Safety Online began in 1997 and has continued to grow into a nationwide business serving companies and organizations with safety and first aid kit supplies online. Our first aid kit refills assist companies in maintaining compliance with OSHA regulations and ensuring that they have the proper first aid kit refill supplies needed in case a need arises. 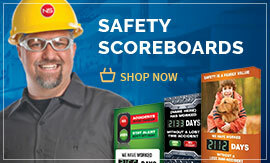 We are a multi-line distributor featuring well-known safety supply companies such as Allegro Safety, Accuform Signs, Bradley and Haws emergency shower/ eye wash units, Sentry Column Protectors and many more. 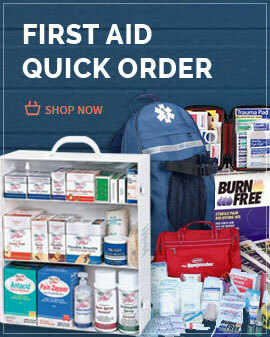 Our goal is to provide you with quality first aid supplies online and excellent customer service all while offering you our services at unbeatable savings. 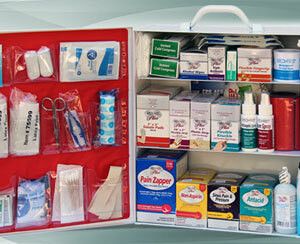 We aim to be your one stop shopping destination online for all of your first aid refills and safety supply needs.